There’s something going around—a nasty flu virus; a non-flu virus causing coughs and phlegm; and frequent colds. This season, it seems our immune systems are being bombarded. To the zealous pathogens: challenge accepted. For there are steps we can take at home to enhance our immunity. The following addresses prevention of sickness, therapy (should sickness occur), and recovery. Of course prevention is preferred, for it helps ensure limited down-time. In this respect, nutrition, exercise and rest are essential keys. Though these keys can be a challenge given our responsibilities and ambitions, their necessity stands. Gather these nutrients in succulent pill-form as you frolic and forage through the pristine landscape of the supplement aisle. OR, exchange the potato chips for carrots and rely on whole foods as medicine. All these nutrients can be found in nuts, seeds, legumes, vegetables, and grains (except for Vit B12, which is found in animal sources). The minerals above are more abundant in animal sources and—in the case of iron—more bioavailable. 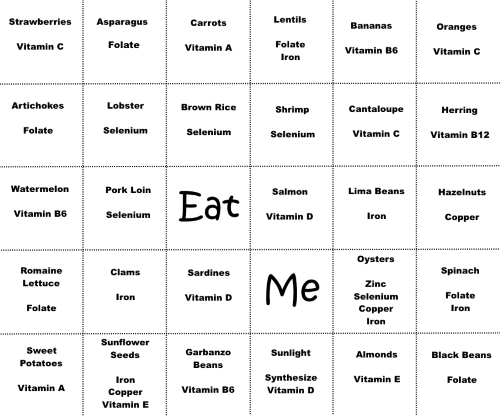 The foods above are either good or great sources for the nutrients listed, but you can find other foods if you want to further diversify your meals. In trials, exercise has been shown to reduce the incidence and severity of respiratory infections. In addition to toning muscles, exercise helps tone the immune system by mobilizing components of our innate immunity (e.g. neutrophils, eosinophils, basophils, natural killer cells). Exercise should be regular and moderate. For overtraining—or highly intense exercise—may increase susceptibility to respiratory infection by reducing adaptive immunity (i.e. temporarily lowering T cells and B cells). Sleep regulates the function (i.e. circadian rhythm) of the hypothalamic-pituitary-adrenal (HPA) axis, which interacts with our immune systems. The HPA axis is the mechanism involved in our stress response, controlling the release of glucocorticoids (stress hormones) from the adrenals. While glucocorticoids have been implicated in immune suppression, the neuroendocrine-immunity interaction is complex, and glucocorticoids actually have a modulating effect on immune response. Because sleep reduces stress, it allows the HPA axis to promote a healthy immune response rather than suppress it. For a poignant example of the relationship between sleep and stress, refer to sleep deprivation as a torture technique. We do what we can. But sometimes we get sick anyway. In this case, our nutrient intake is hindered as our appetites are weakened by pathogens. Because our digestive function is low at this time, we should focus on ingesting bland, nutrient-dense and easily-absorbed foods—think: vegetable and bone broths. We should also limit the intake of iron, as it can otherwise nourish bacteria and thus worsen infections. Prepare Ginger Scallion Tea by boiling a few slices of ginger in 1 to 1 ½ cups water for 5-10 min, adding the chopped white part of 1 scallion near the end of boiling. Optional: sweeten with a pinch of brown sugar. For added anti-microbial oomph, you may add a chopped garlic clove, boiled with the ginger. Prepare Ginger Mustard Tea by boiling a few slices of ginger in 1 to 1 ½ cups water for 5-10 min, adding a few mustard greens near the end of boiling. Drink the tea. Eat the greens. 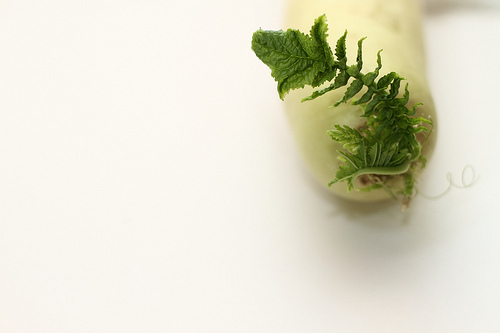 Eat raw daikon radish, or juice it. Steam your respiratory tract with an infusion of Hyssop essential oil: Add 5-10 drops of essential oil to a large bowl of boiling water. Hover your face over it and breathe deeply, covering your head with a towel. Juice (or eat) Asian pears. If there is irritation that causes bloody coughs, add lotus root to your diet. You can also juice lotus root, or add it to soups or sauté it. Herbs are a good source for revitalizing our immune systems. The following herbs can be used long-term, i.e. during the prevention phase. 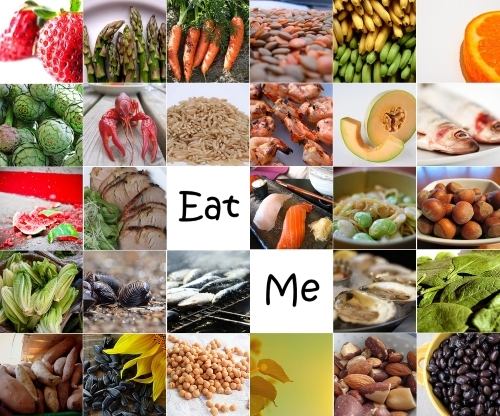 However, during prevention, I focused on everyday foods as they seem more readily accessible for most people. Known as huang qi in Chinese Medicine, astragalus strengthens lung qi and thus tones the immune system. Its effect is evident in cancer treatment, as it prevents immunosuppression caused by chemotherapy. It also tonifies the spleen system (i.e. metabolism) to address poor appetite and fatigue. 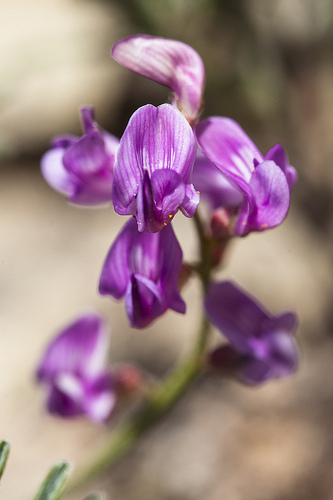 Astragalus and Prince Seng are categorized as adaptogenic herbs and generally safe for long-term use. However, it is recommended to consult your healthcare practitioner regarding an appropriate dosage for you. A Chinese Medicine practitioner can also help you discern which of the two may be more applicable to your current state. In addition to self-care, take it to the next level with professional support. 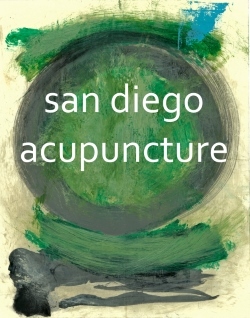 Acupuncture can be employed at any phase—during prevention, infection or recovery. The treatment approach varies, depending on which phase you’re in. During the prevention phase, acupuncture tones the respiratory and immune systems. 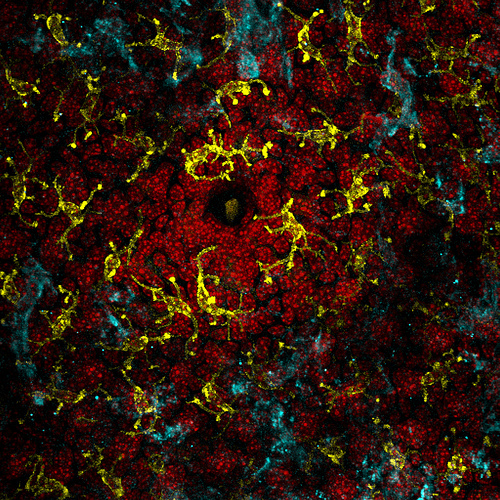 During infection, it excites an immune response by mobilizing white blood cells. It also specifically addresses any of the symptoms of infection (e.g. headache, body aches, digestive disturbance, chills/fever, cough, sore throat, fatigue). During recovery, it revitalizes overall health and further addresses lingering fatigue, cough and/or phlegm congestion. Schedule an appointment with Carl M Balingit, L.Ac. at (619) 994.2119. Photo Collage. Individual images credited from left-to-right, top-to-bottom, under CC BY 2.0: Riza Nugraha [flickr.com/rnugraha], Liz West [flickr.com/calliope], Color Line [flickr.com/sunrise], Nick Mote [flickr.com/mote], Ian Ransley [flickr.com/design-dog], Andria Ariste Santacreu [flickr.com/manicomi], Matthew Robinson [flickr.com/noisecollusion], Tup Wanders [flickr.com/tupwanders], Rob & Dani [flickr.com/rob-qld], Mike McCune [flickr.com/mccun934], News21-National [flickr.com/news21], Stuart Webster [flickr.com/stuartwebster], KT King [flickr.com/xtrah], 46137 [flickr.com/wolfworld], Jeremy Keith [flickr.com/adactio], Ezra Wolfe [flickr.com/ezraw], Kate Ter Haar [flickr.com/katerha], Liz Muir [flickr.com/julescatering], coniferconifer [flickr.com/conifer], Paul Joseph flickr.com/sashafatcat], Jules Morgan [flickr.com/ladymissmarquise], Daniella Segura [flickr.com/77568040@N08], Jamonation [flickr.com/jamonation], Valdemar Fishmen [flickr.com/torange-biz], Personal Creations [flickr.com/personalcreations], Pink Sherbet Photography [flickr.com/pinksherbet], Ofer Deshe [flickr.com/desheboard], Cookbookman17 [flickr.com/cookbookman]. Freidenreich, D., & Volek, J. (2012). Immune Responses to Resistance Exercise. Exercise Immunology Review,(18), 8-41. Guyon, A., & Et. Al. (2014). Adverse effects of two nights of sleep restriction on the hypothalamic-pituitary-adrenal axis in healthy men. The Journal of Clinical Endocrinology & Metabolism, 99(8), 2861-8. Jefferies, W. (1991). Cortisol and Immunity. Medical Hypotheses, 34(3), 198-208. Silverman, M., Pearce, B., Biron, C., & Miller, A. (2005). Immune Modulation of the Hypothalamic-Pituitary-Adrenal (HPA) Axis during Viral Infection. Viral Immunology, 18(1), 41-78. Walsh, N., & Et. al. (2011). Position Statement Part One: Immune Function and Exercise. Exercise Immunology Review,(17), 6-63. Wintergerst, E., Maggini, S., & Hornig, D. (2007). Contribution of Selected Vitamins and Trace Elements to Immune Function. Annals of Nutrition and Metabolism, (51), 301-323. Yamaguchi, N., Takahashi, T., Sakuma, M., Sugita, T., Uchikawa, K., Sakaihara, S., … Kawakita, K. (2007). Acupuncture Regulates Leukocyte Subpopulations in Human Peripheral Blood. Evidence-based Complementary and Alternative Medicine,4(4), 447-453. Next post: Year of the Sheep–Superstition or Insight?